Sometimes it's for the best when product claims turn out to be blatant lies. If purveyors of infrared body wraps, for example, were telling the truth, clients would walk out of their spas dripping grease from their skin—and that wouldn't even be their biggest concern, next to the heart attacks. As another benefit, spas that offer body wraps unfailingly promise "detox." This isn't the first time the d-word has come up here. Suffice it to say that unwanted molecules are filtered from our blood and sent out of our bodies by the liver and kidneys—not sucked from us forcefully by mud wraps, juice diets, or ionic foot baths. 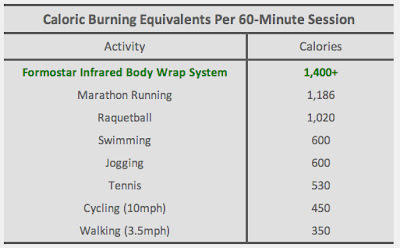 But the most amazing promises of all come from the infrared body wrap. Unlike some of the body wrap's other incarnations, this treatment doesn't require you to strip down, be slathered in goo, and get bandaged head to toe. Instead, clients lie on a bed with their clothes on while several infrared-generating silicone pads are strapped around them. Then they're left under a heated blanket for a while. So far, it sounds like nothing more than a toasty nap. But spas say that you'll leave an infrared wrap session skinnier and healthier, with better circulation, a faster metabolism, clearer skin, and less cellulite. How? The pads give off long and short infrared waves that penetrate deep into your fat layers, websites claim, increasing your body temperature, metabolism, and blood circulation. The heat "break[s] down fats into a liquid form, allowing secretion of body water, toxins and fat as you perspire," according to one Chicago spa. All that formerly stored fat, once liquefied by the infrared waves, is obviously eager to escape your body through the nearest exit. But don't worry if the fat gets stuck inside you—you'll burn it anyway. "You can burn 900 to 1,400 calories or more in just one 50 minute session," another Chicago site proclaims. After studying this calorie chart, I'm thinking I've been wasting my time by walking to work. What I should really do is buy some of these silicone pads, strap them on, and see if I can get someone to roll me there. This is "completely insane," says Williams College physiologist Steven Swoap. "How are they allowed to write this stuff?" For one thing, "Fats simply don't come out of sweat glands," he says. Though if they did, you would definitely have to throw away your spa outfit after soaking it with grease from the inside. Infrared radiation, Swoap explains, isn't a magical cellulite-blasting weapon. In fact, people naturally give off long infrared waves as body heat. "Instead of wrapping yourself with this stuff, maybe a good long hug with your significant other would work too," Swoap says. Or, if you're looking for shorter infrared waves, "You could take your TV zapper and shoot it at yourself all day long." Daniel Lynch, a Williams College biochemist, says that heating parts of your body could certainly increase your water loss. But your fat isn't budging. "To get rid of the fat, it must be metabolized," he says, "and that is not going to be enhanced by lying on a bed with silicone wraps on your legs." Furthermore, Lynch speculates, if your fat deposits really did get broken down and sent back into your blood—and you were, say, lying on a table instead of using those fat molecules for fuel—"You could actually have dangerous levels of fatty acids circulating in your blood. That's good for a heart attack!" If you're looking for an exercise-free way to burn fat, Swoap suggests hanging out in a cold room rather than under a warm blanket. Being in the cold will raise your metabolism as your body tries to replace the heat you're losing. If you're still hankering after the spa experience, you could always wait until winter, wrap up in a scarf, and have someone log-roll you down the sidewalk. The whole thing seems sketchy to me - not to mention uncomfortable and potentially dangerous. There is no way you can "sweat out" fat. I think i am going to try it, thanks for the input. I can't believe this person is trashing it without even actually trying it?? WTF?? Not cool. 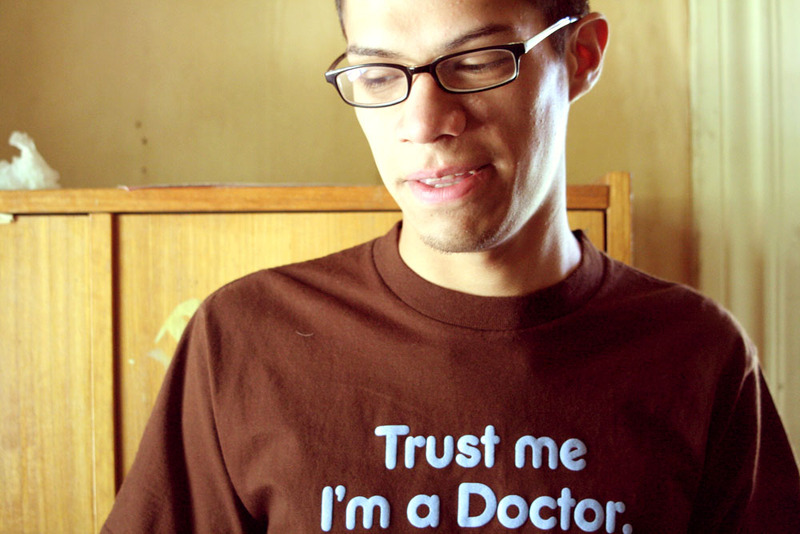 I certainly don't believe many things doctors tell me, and if they are truely scientist how can they believe in God?? Me too. I did it as a journalist -- and it really did take off the inches after about 3-5 sessions. It really helped my circulation, as well. I guess the idea is that the cellulite is more "malleable" or forms into a better type of fat for metabolizing. They suggest that you go do your workouts immediately afterwards, or within a few hours for the best results. The measuring tape doesn't lie- and I did a 3 week session and loved it. Hi Anonymous - I am also a Massage Therapist, and am having a represent from Formostar visit my office and give me a demo session. I'm more interested in possibly offering it to my clients who have muscular (fibromyalgia)/skeletal (arthritis) issues, not as a cellulite reducer. I've read numerous reports that far-infra red saunas are an excellent way to detox, since the skin is the largest organ of the body. I have high levels of mercury and lead, and thought this could possibly help. Ask this question to someone qualified to answer it and not someone who writes about flowers and insects. 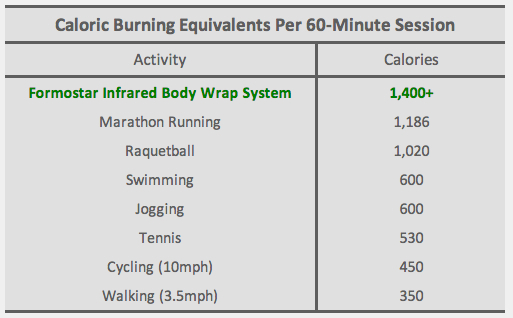 This article fails to acknowledge the therapeutic, heat benefits from infrared wraps. I understand that the article was intended to debunk the "fat-melting" and "detox" myths commonly claimed, but if that is the case, the article should have then been titled " Debunking Infrared Wraps for Weight and Fat Loss". We have used heat wraps for pain, rehabilitation and general well being, and they are quite effective when used this way. A secondary benefit of stress reduction should also not be scoffed at, given that many persons suffer from very high stress levels, which in turn leads to many negative health conditions. Your position would have been more credible had a balanced view of the potential benefits for this type of treatment also been offered. I went to my chiropractor years ago and was referred to the Infrared "Sauna" I was given hour long sessions at 120 degrees.... the first benefit I noticed was my skin! With my job as a Nail Technician, the tops of my thighs are rough from the dust silting down through my jeans and rubbing in. This went away immediately. I also had inch loss but could not afford to continue with the wraps because they were quite expensive. These days the "wraps" are also expensive, but I do know them to work....if you can keep with a course of treatments. I just started having them done and am very pleased with my results. so if you "work out" and burn calories....how does it eliminate??? Come on! Sweating is essential to weight loss. You need to debunk with a plausible explanation of how it DOES occur if not with sweat and heating of the core. I think you may be wrong. When you exercise, you sweat. And yet, you're still burning calories. But not everyone who exercises will lose weight, and not everyone who uses these wraps will lose weight. People have cellulite for different reasons, and different methods may (or may not) help get rid of that cellulite. These wraps have been proven successful for many people, but what works for one may not work for another. They also have shown to have therapeutic benefits for stress relief (anxiety and high stress levels are common, and also can be contributors to gaining weight through the stress hormone cortisol - some people just need to relax in order to lose weight), as well as for muscle tightness. Far infrared has been proven to raise your metabolism. This 'debunking' article appears to be based on opinion rather than fact. I've used the infrared body wraps in my business for almost 6years. I have many satisfied customers that have lost weight, inches and cellulite. It also helps with pain control and speeds healing time. I've seen it work first hand. Unfortunately, some people do not understand how infrared actually works and come up with an article such as this based on pure conjecture and assumption. Do your homework first before writing an article. Then you can base it on fact rather than opinion. Wow. You thought a physiologist would know about metabolism when he studies physical muscle movement of the body in exercise. A Biochemist is much closer, but he should know that heat increases blood flow and thins blood this cause more blood to hit the tissues. Blood carries oxygen, oxygen Fat inside of your body is comprised of hydrogen, carbon and oxygen. So by adding more oxygen to your body, the oxygen should force the fat to get more oxygen and turn into either water or carbon dioxide. He should know that. Not exactly an expert witness. And the bit about leading to a heart attack is complete crazy. (see above on how fat converts) So, to sum this up, I don't see you giving full and correct information. What is your degree in? To debunk something you need to know more about it then simply asking a few of your friends with random degrees then throwing it out on the internet to discredit people who have spent their whole lives studying something you know nothing about.